J. B. Condliffe was a professor of economics at Canterbury College (1920–26) and one of the few academics in the country who made a serious contribution to the nation’s history in the interwar years. 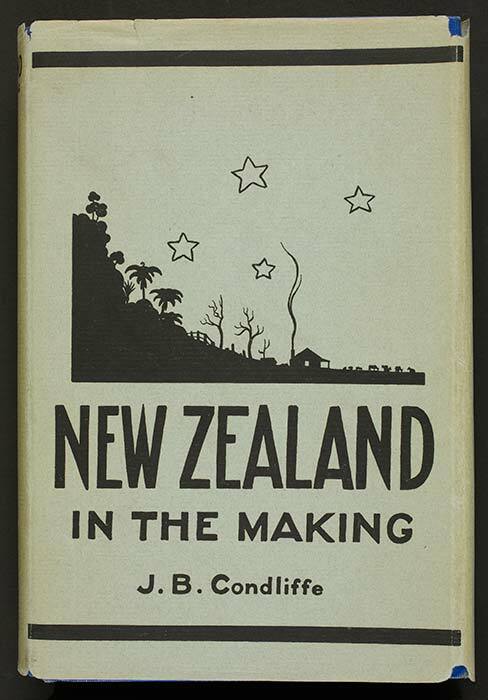 New Zealand in the making appeared in 1930, after Condliffe had left the country, and was a pioneering study of the economic history of New Zealand. As the cover illustration suggests, it charted the development of the country from native bush to 'English' farm. Condliffe subsequently became professor of economics at the University of California, Berkeley, where he wrote a much-praised work, The commerce of nations. He also published a biography of his friend Te Rangi Hīroa (Peter Buck).